Environmental toxins are one of the biggest problems we face when it comes to our health and the health of our planet. Pesticides used on crops not only affect the food produced on those farms, they are present in the air we breath and they contaminate the water we drink. These factory farming methods spew an enormous amount of toxins into our environment, toxins that leach into our system and cause severe damage to our body. Pesticides aren’t the only culprit though, exhaust fumes are another major environmental concern, poisoning the air we breath and significantly increasing our body’s toxic burden. Our capacity to detoxify environmental toxins has been severely outpaced by our ability to produce them. Supporting liver health through diet alone just isn’t enough anymore, the foods we eat simply don’t contain the nutrients they once did. Supplementing is vital in order to achieve and maintain a healthy liver function and protect against an increasingly toxic world. 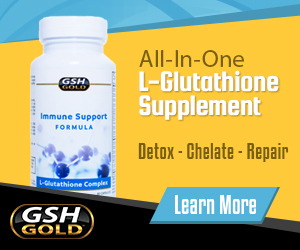 Found in virtually every living cell on planet earth, glutathione has been detoxifying cells for millennia. 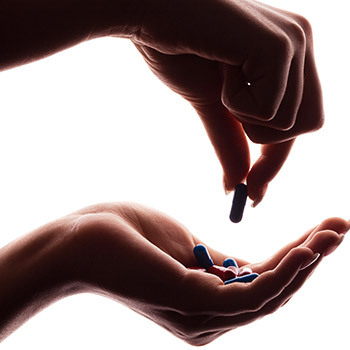 It is produced naturally by the body, but levels start to deplete as we age and as our toxic burden increases, making it extremely important to supplement. Glutathione is essential in our body’s fight against oxidative stress and it plays a pinnacle role in our immune function. With well over 100,000 clinical studies done on GSH, it has proven beneficial for virtually every known disease and illness. The liver contains the majority of the body’s glutathione, as it is our major detoxifying organ. Supporting glutathione levels with a quality L-glutathione supplement is one of the best ways to naturally improve liver function and liver health. Supporting glutathione levels is one of the major benefits of supplementing NAC, as it is a natural precursor for endogenous glutathione synthesis. N acetyl-L-cysteine greatly improves antioxidant activity in the liver and body as a whole, making it one of the most profoundly beneficial liver health supplements. Here is another supplement that has a profound effect on our body’s glutathione levels. Selenium is directly involved in our body’s methylation cycle, a process that recycles used up antioxidants and converts them back into their usable forms. This makes it important for maintaining high levels of reduced glutathione. Regularly supplementing with selenium has been found to protect against liver damage and reduce the risk of liver cancer. Ensuring our methylation pathways are operating at peak capacity is essential, as it is involved in hundreds of cellular processes and functions. Turmeric is a popular Indian spice, commonly used in curries to impart its vibrant yellow / orange color as well as its numerous health benefits. The majority of these health benefits are thanks to a compound known as curcumin, now widely available in supplement form. Curcumin has been found to be a potentially effective natural treatment for liver cirrhosis, capable of repairing damaged liver cells. Benefits of curcumin can be compounded when coupled with black pepper extract (piperine). When supplemented together, the curcumin is absorbed at a much higher rate, up to 2000% better.